UPS is experimenting with a bold move – a new delivery system which has a low traffic contribution as well as low carbon emissions. The system depends on a two-step process where trailer trucks deliver packages to a central city hub and then are delivered by bike or on foot with power-assisted trailers. Called the Low Impact City Logistics, it is a collaboration between different stakeholders and could be a game changer for package deliveries in cities. The experiment is a partnership between UPS, Fernhay, Skotkonung, University of Huddersfield and Outspoken Delivery. The project funding is via Innovate UK investments worth £10 million. 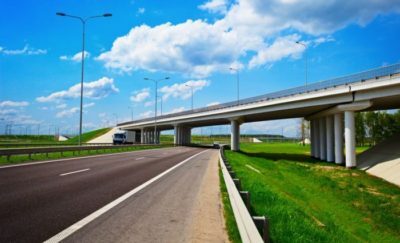 The project funding covers several research and development projects for the improvement of efficiencies in end-to-end trips for people and freight. Fernhay designed and developed the trailer and payload box. It uses a patented net-neutral technology that balances the weight of the trailer making it easy for the rider to pull it along regardless of the fitness level of the individual. According to Simon Iwnicki of the University of Huddersfield, the trailer system allows for heavier loads with a minimal impact. The rider can go for longer distances due to this system, drastically transforming urban package deliveries. UPS is partnering with other cities around the world in developing solutions helping to decongest traffic, and lower emissions in urban areas. UPS is looking forward to solutions which will help deliveries in a crowded world. The UN has forecast the world population to be 9.5-9.7 billion by 2050, of which 70% will be living in urban areas. UPS and GreenBiz collaborated on the publication of “The Road to Sustainable Urban Logistics”. This is a study to determine implementation of new delivery systems for the unique demands of the world’s largest cities. UPS has created forward-thinking solution to solve unique urban logistics problems in cities like Frankfurt, Hamburg, and Munich in Germany; Belgium’s Leuven and Mechelen; Italy’s Verona and Rome; in Toulouse, France; and in Dublin, Ireland. Skotkonung wrote the delivery optimization algorithms with the use of a GPS tracker included in the trailer. This allows for continuous improvements in efficiencies and route speed. The delivery management tools included the algorithms and also taking into account the delivery environments. Outspoken Delivery conducted the initial system trials in 2017. 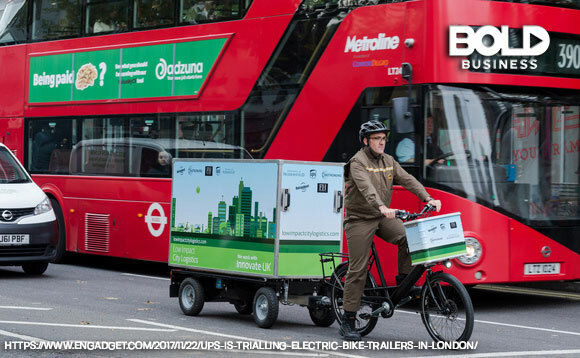 According to Outspoken Delivery Managing Director Rob King, the logistics industry is facing challenges with carbon emissions, traffic congestion and navigation issues; and the net-neutral trailer solution will revolutionize the future deliveries in urban areas. To answer these problems, they are now looking at advanced and bold technologies which will pave the way for more efficient delivery systems for the future.